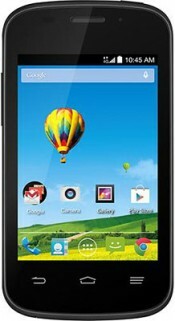 The ZTE Z667 is exclusive to AT&T USA. It was released running Kit Kat and cannot be upgraded to Lollipop and can be externally expanded up to 32GB ontop of the 4GB internal storage. It has a 3.5″ touch screen with 320×480 pixel resolution. It also has a 2MP camera with a video recorder which supports video-calling. The Z667 provides decent speeds with its Qualcomm Snapdragon dual-core processor. This device is ideal if you’re looking for an entry-level smartphone or if you’re looking for an inexpensive smartphone option. The ZTE Z667 supports MP3 files, GPS, bluetooth, tethering and wi-fi. It is also pre-loaded with YouTube, Chrome, Facebook, Google+ and Picasa and Twitter. This device provides up to 4 hours of talk time or 360 hours on standby. Once unlocked, it will work with compatible GSM providers only. Unlocking your ZTE Z667 is fast, simple and 100% guaranteed by Cellunlocker.net. Why Unlock your ZTE Z667 with Cellunlocker.net? Unlock Your ZTE Z667 Today!